"Where will you be when they come?" From the voice and wisdom of Pat Parker. 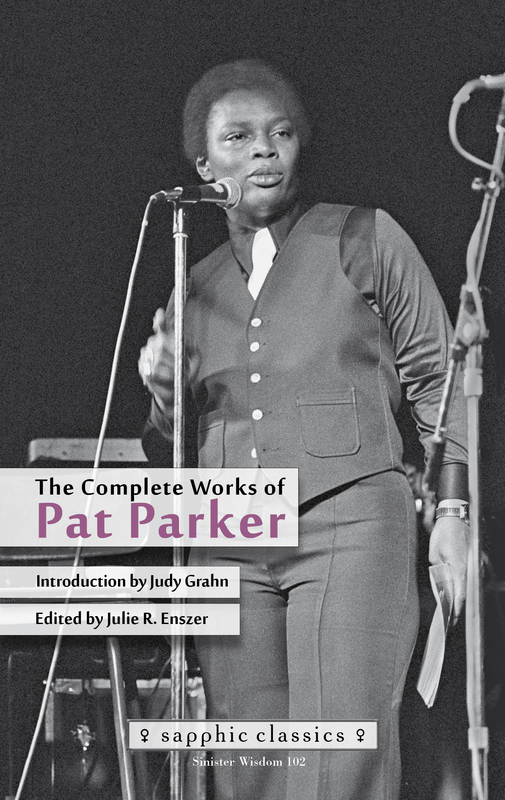 Pat Parker was one of the pathbreakers of revolutionary lesbian culture in the 1970s and 1980s. She died in 1989 at age 45. Sinister Wisdom and Midsummer Nights Press have released anew collection of all of Parker's published works as well as some never before published. They will celebrate the book's launch with many of Parker's friends and contemporaries, as well as younger artists and activists influenced by her work, on Saturday, November 19 at 1:00 pm at the San Francisco Main Library. Lisa Dettmer talks with editor Julie Enszer.